We need to contact an American dubbing studio and ask them to dub the plays. Then, they can air on channels like ABC, CBS, etc. I'm also hoping an English version of Christmas in LazyTown can be released on CD. If you have any thoughts about who to contact, let me know. Maybe, you guys can look for dubbing studios to contact, too. Well, it's not like I'm asking you to contact 4Kids. 4Kids would probably censor the smoking scenes. I'm referring to some kind of general American dubbing studio. 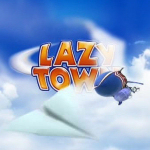 I think that an English dub of Christmas in LazyTown is somewhat feasible, but a project far beyond the scope of what we could accomplish. I think finding enough people with convincing enough icelandic accents and pronunciation would be half the challenge. That'd actually be pretty cool though to dub it if we could. I'm not sure about pronouncing, but I actually do have contact with someone who does professionally teach voice actors accents, if we were ever interested.